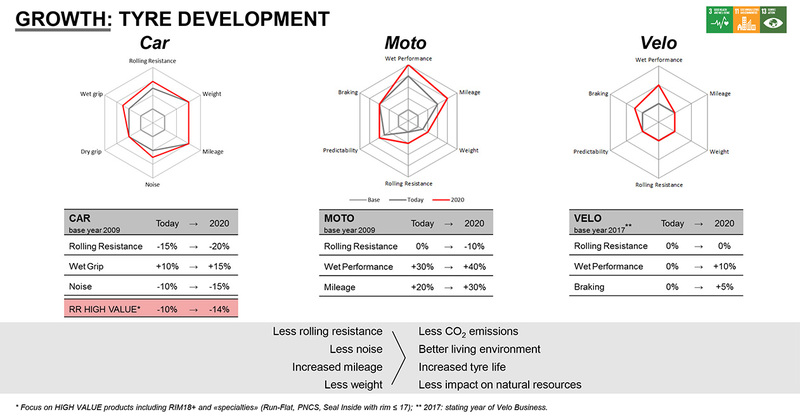 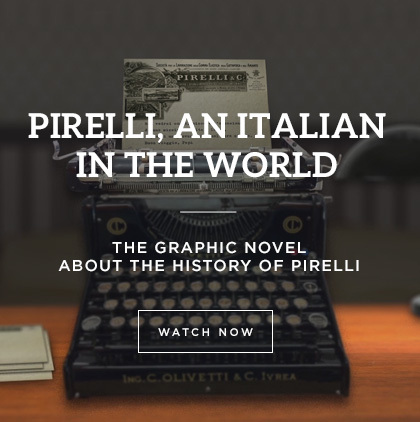 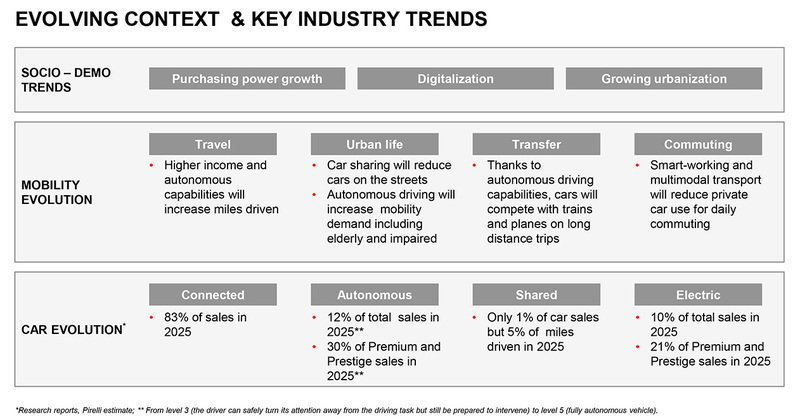 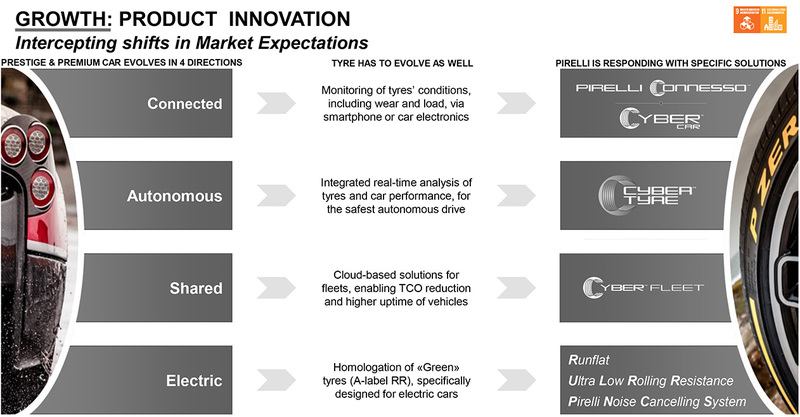 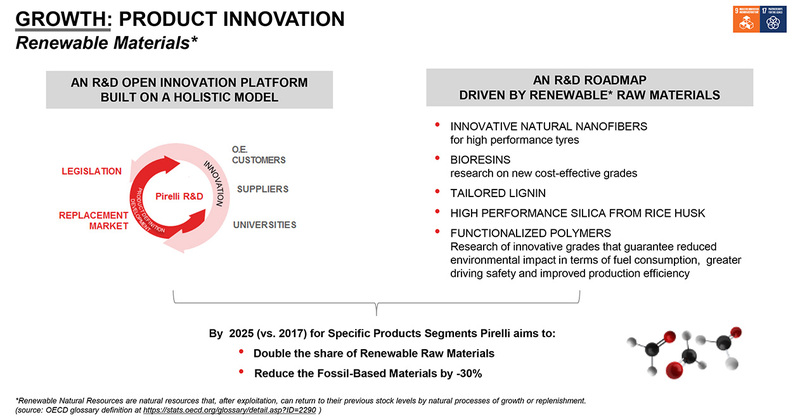 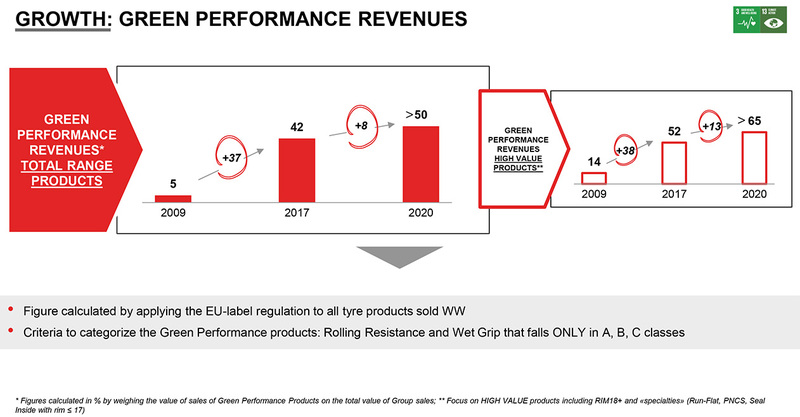 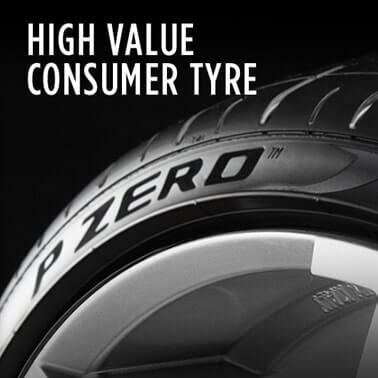 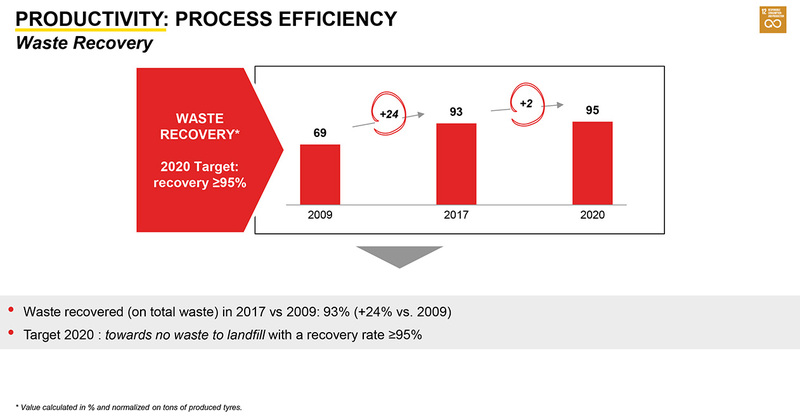 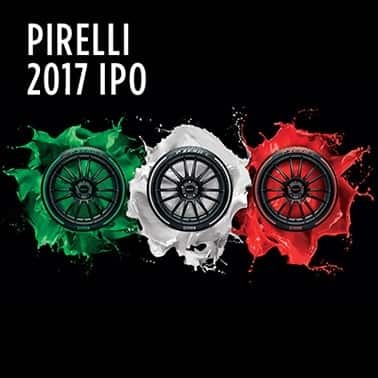 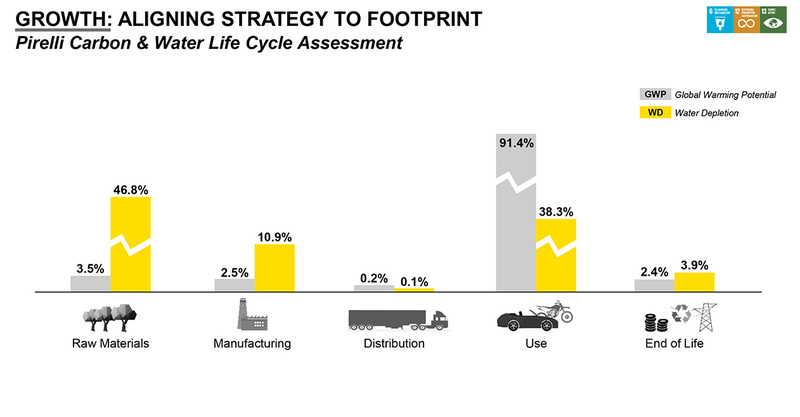 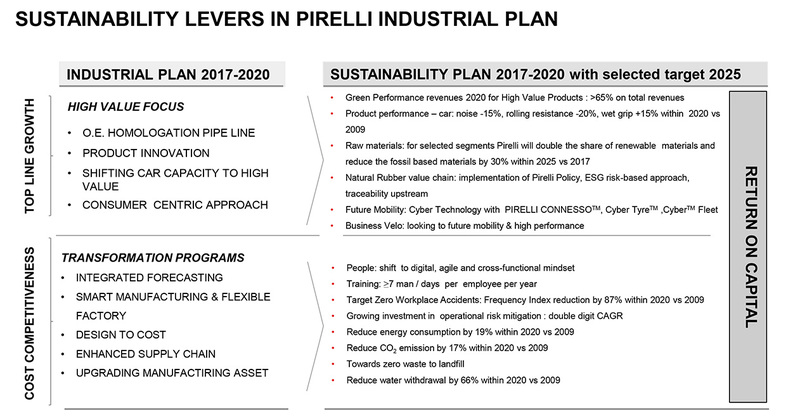 Integrating the Group’s Industrial Plan and in line with the company’s evolution, at the end of 2017 Pirelli approved the new Sustainability Plan “2017-2020 with selected target for 2025.” The plan was illustrated to the financial community by the CEO of Pirelli & C., Marco Tronchetti Provera, in February 2018. The 2017-2020 plan with selected target for 2025 substitutes the 2013-2017 Plan with selected target for 2020, representing its strategic evolution. 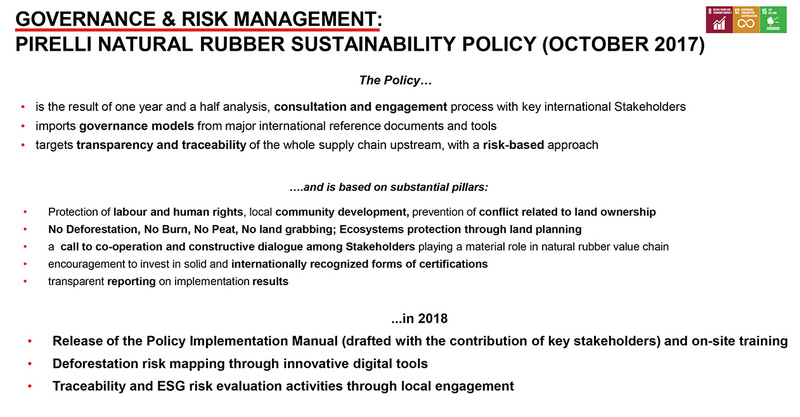 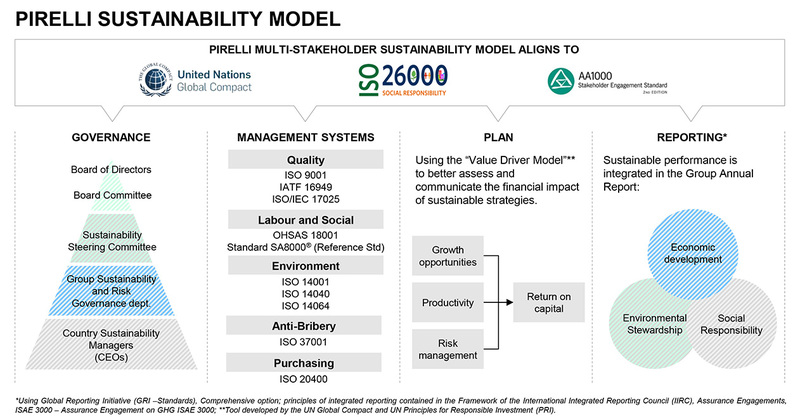 Developed and drafted following the UN PRI and Global Compact “Value Driver Model”, the Sustainability Plan integrates the Group’s Industrial Plan, in line with High Value development strategy. 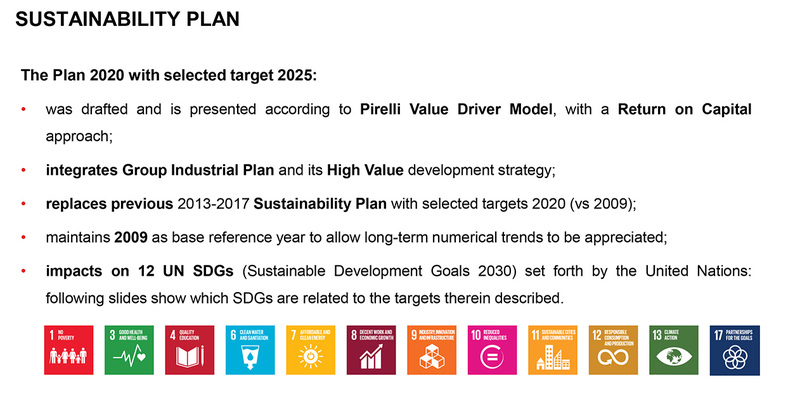 The Plan’s targets are related to 12 United Nation’s Sustainable Development Goals (SDGs). 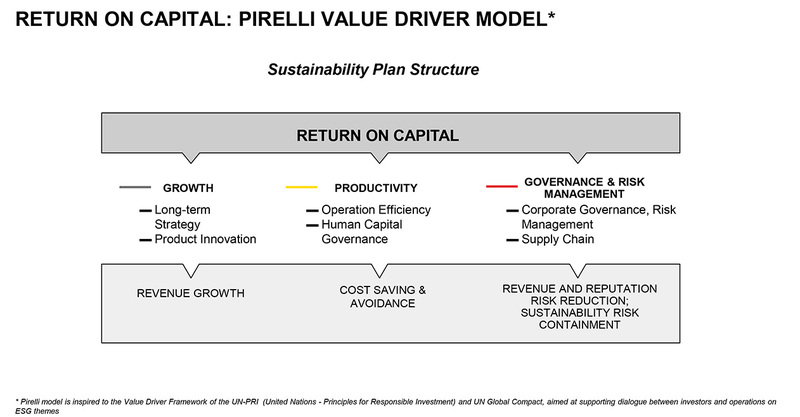 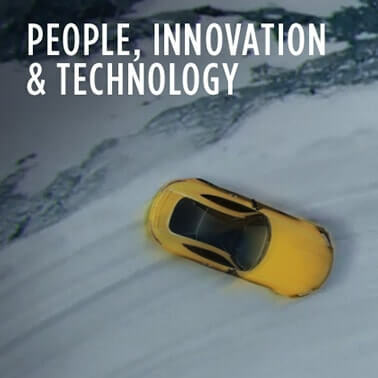 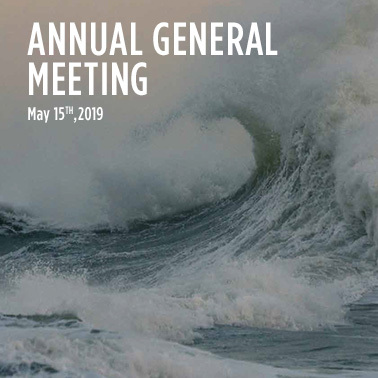 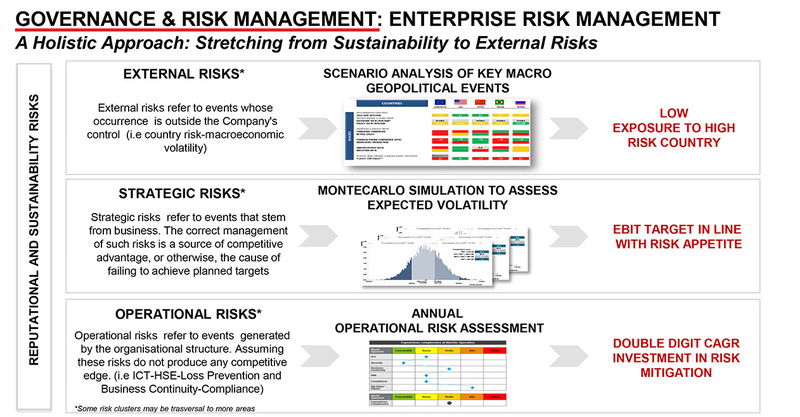 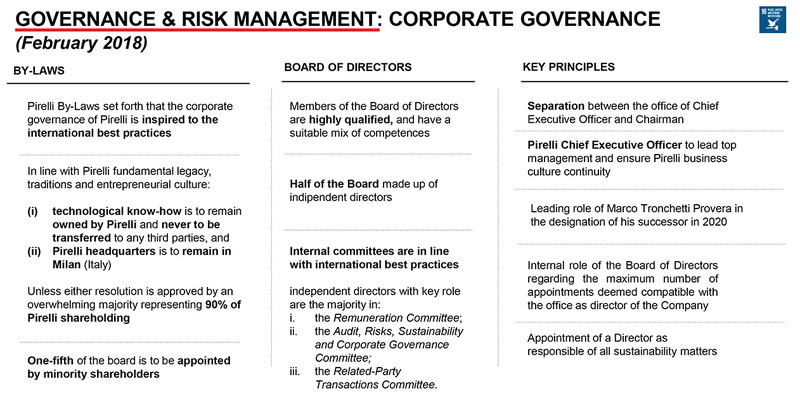 The Pirelli model is inspired by the Value Driver Framework of the UN-PRI (United Nations - Principles for Responsible Investment) and UN Global Compact, aimed at supporting dialogue between investors and issuers on ESG themes. 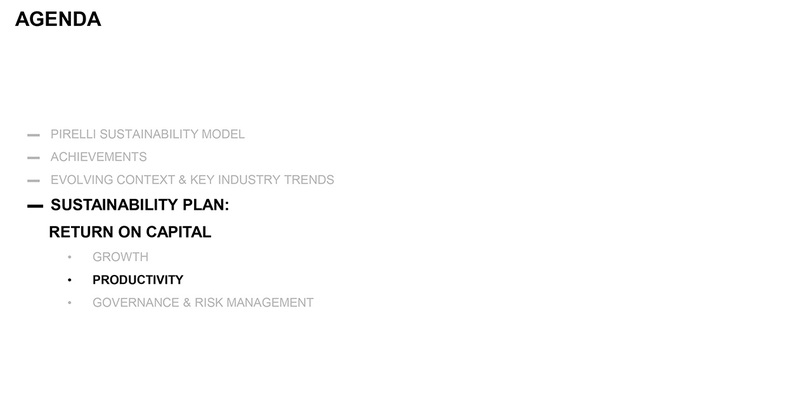 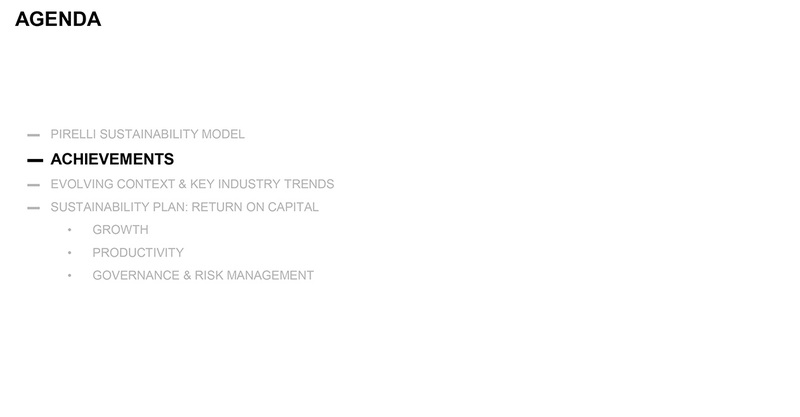 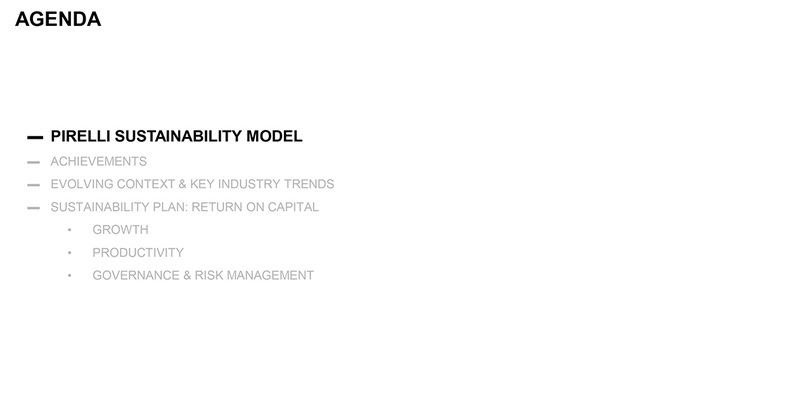 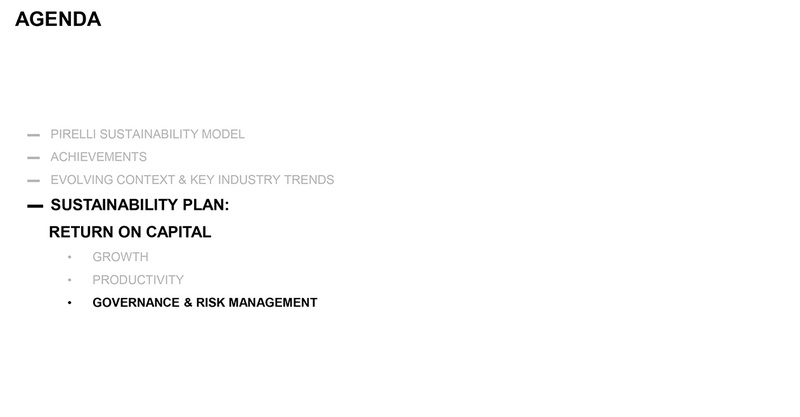 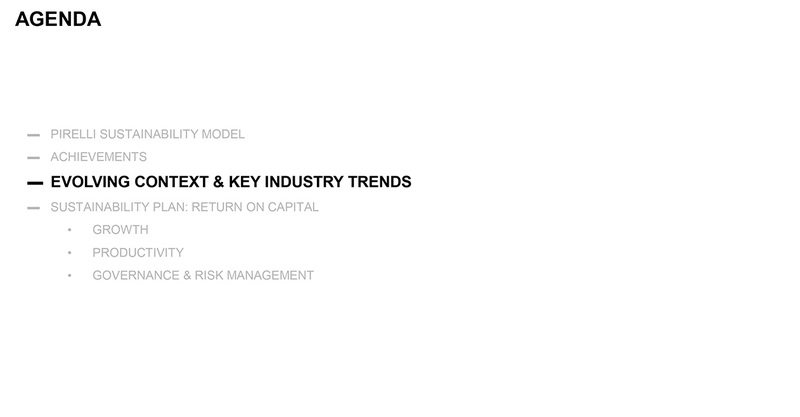 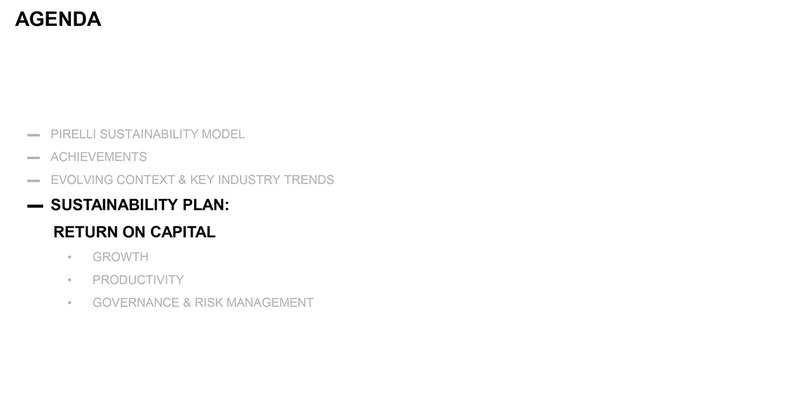 The model allows the Company to describe the connection between return on capital and the following three metrics: revenue growth, cost savings/avoidance and risk reduction. 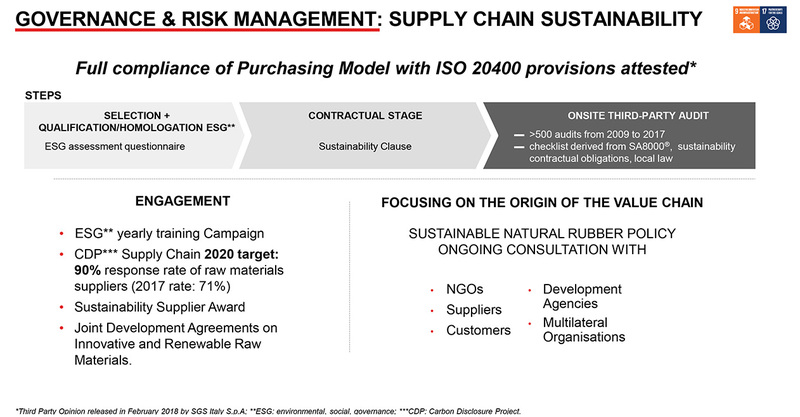 The Sustainability Plan 2017-2020 with selected target to 2025 integrates, supports and protects the targets and values of the Group Industrial Plan. 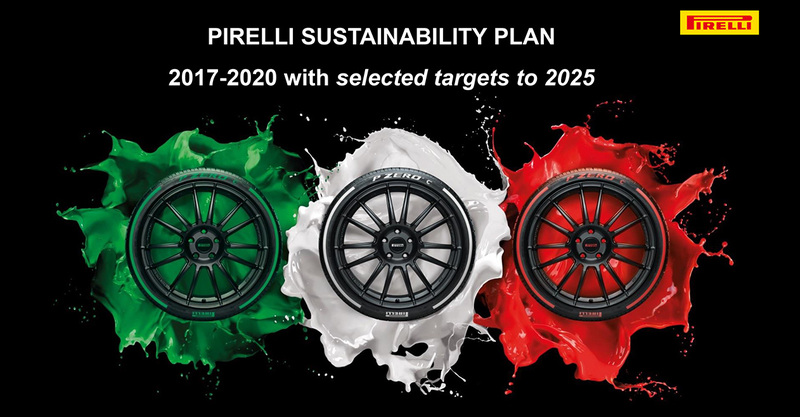 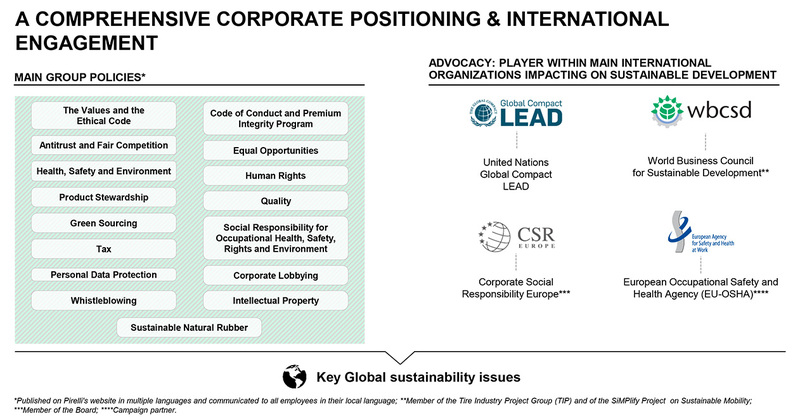 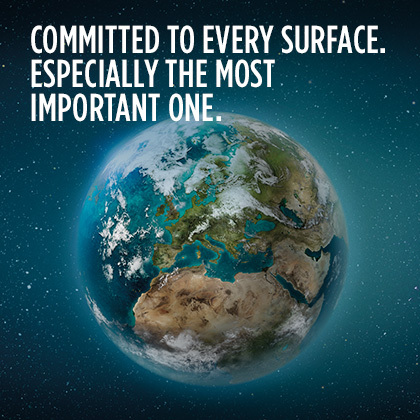 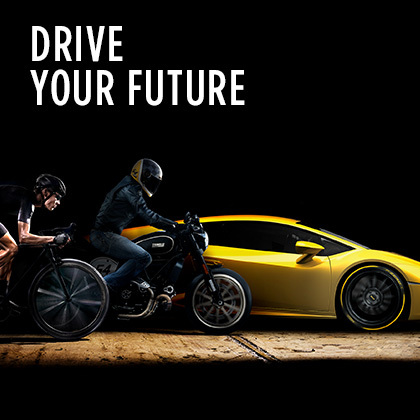 In terms of sustainable management model and performances, Pirelli impacts on all the 17 SDGs. 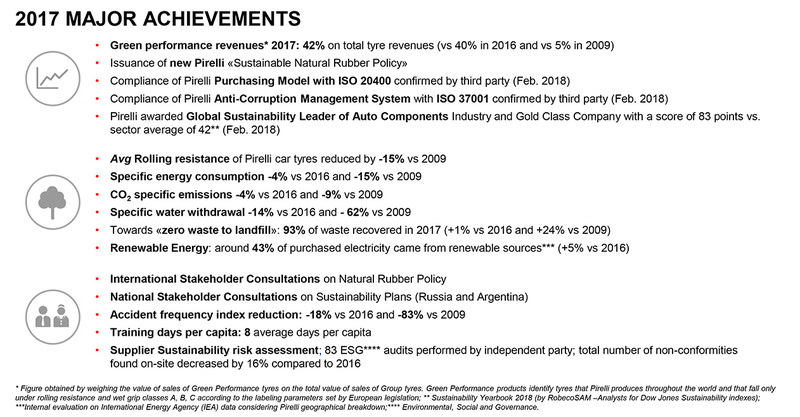 To know more please see the SDGs Summary Table on the Annual Report 2017.